A career at the Bar is highly competitive. Every year, around 1400 students graduate from the BPTC course – each of them having payed close to £20,000 in tuition fees – and chase after one of just 400 available pupillages. That’s without taking into account the applicants who are in their final year of undergraduate law studies, those on the GDL, and the BPTC graduates who are trying again for the second – or third, or even fourth – time. The stakes are high, and the reality is that most people simply won’t make it. So before deciding that the Bar is definitely for you, it’s worth thinking very seriously about the pros and cons of becoming a barrister. Want to find out more about becoming a barrister? Read our 6 Things You Didn’t Know About Becoming a Barrister next! The Bar tends to attract people who are motivated and ambitious, and want a career where they are independent and in charge of their own career progression. As a barrister, you won’t be dealing with office politics or vying with colleagues with for promotion. Instead, you will rise or fall on the basis of your reputation, and that will be the direct result of what you put into your cases, the relationships you build with solicitors, and the results you get for your clients. It’s pretty exciting stuff. >> Learn more about what qualities make a good lawyer here! It’s true that there are an ever-growing number of solicitor advocates, and so being a barrister is no longer the only way to get on your feet and argue your case before a judge. But it’s also true that for barristers, advocacy is their real area of expertise. If you love standing up and getting your point across, if you enjoy the thrill of trying to win someone over to your point of view, if you get a real buzz from performing – the Bar is a fantastic fit, and there’s nothing else quite like it. >> Discover more about advocacy with our article on it here. Many barristers will tell you that the Bar is a vocation, not just a job. Being a barrister can be immensely satisfying in that it offers an opportunity to provide the specialist knowledge that can assist a client in obtaining their desired result, and therefore make a real difference to their lives. You are offering advice and representation to clients at a very stressful time for them – clients who often lack the expertise to advocate for themselves. If you want a career that has meaning, look no further. 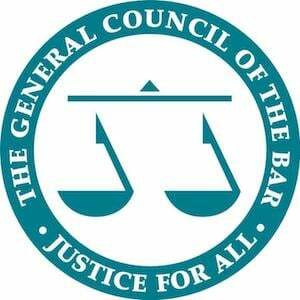 The cab-rank rule that barristers must abide by means that barristers must accept any case which is offered to them, as long as they are competent. This means that you can’t cherry-pick cases, and so you never really know what might come your way. Criminal barristers might go from defending someone accused of murder in their trial at the Old Bailey to prosecuting shoplifting in their local magistrates’ court. Barristers who practice in commercial law might be dealing with a case that requires them to know about the international art world one week, and the workings of casinos the next. No two days will be the same, and you’ll find there’s always a new challenge. Now take our quiz to find out what sort of barrister you should become! Perhaps the biggest drawback of becoming a barrister is just how hard it is to get started. The sad reality is that far more people are graduating from the BPTC every year than there are pupillages, and the vast majority of wannabe barristers are going to be left with a lot of debt and no hope of being taken on by a chambers. Even very talented individuals may find themselves disappointed. It’s important to be realistic about your chances of securing pupillage, and have an idea of what you might do as an alternative if things don’t work out. >> Increase the odds of you getting pupillage by reading our top tips here! We’ve all claimed on our applications and CVs to want a career that’s fast-paced, dynamic and full of variety – but how true is that? Your workload as a barrister could be extremely unpredictable, with briefs sent to you at the last minute, trials unexpectedly overrunning and sudden developments in your case which mean that you’ll have to redo all of your preparation. You’d better have understanding friends and family, because particularly when you are starting out, you’re likely to be frequently pulling out of plans at the last minute because ‘something has come up.’ Barristers certainly don’t have a 9-5. The vast majority of practising barristers – around 80%, according to the most recent figures from the Bar Standards Board – are self-employed, and while that might be great if you’re independent and a self-starter, there are drawbacks. While your employed friends will enjoy all sorts of benefits from paid holiday to health care to subsidised gym membership at the swankiest law firms, as a self-employed barrister, don’t expect anything – and that includes a pension, or even maternity or paternity leave. As a barrister, you’re going to be responsible for yourself. If you’re not working, you’re not earning. And while earnings may sound impressively high at the Bar, remember to factor in the cost of all of the things that an employer would typically provide. Overall, there are as many reasons to become a barrister as there are to choose something different. It’s important to go into your career with your eyes open, and even if you do decide that becoming a barrister is what you want to do, knowing the potential pitfalls will help you explain why to pupillage committees. Hold up – take 30 seconds to sign up to TLP and you’ll receive free, tailored information all about becoming a barrister straight to your inbox, as well as be the first to know about new, free events – what are you waiting for? Want to be a barrister and wondering how you can start your journey? This page will cover the barrister career path and gaining legal work experience.